What is Covered in a Culture Training Program? 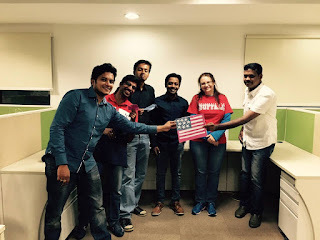 Everyday global professionals such as yourself read the Authentic Journeys' blog wanting to improve confidence with their American colleagues. Although Authentic Journeys has trained over 1600 professionals in a wide range of business verticals, many still wonder what a cross-cultural training is like and what exactly is covered in the session. To continue this series of common questions asked by those who contact us, we will understand what others like you have experienced and learned in cross-cultural professional development sessions. One of the services that Authentic Journeys offers is US Culture Preparation. Can you give us a brief overview of what you cover? What advice would you give to someone just beginning to investigate American Culture? I will answer the last question first. I have four tips for someone just learning about American culture. Have an open mind and be ready to adapt yourself. Here the tricky part is that many are adapting to a foreign culture while never leaving their own land. While there is a comfort in doing this, there is a danger as many Indians working in such environments feel they are losing their Indian culture. Do research, read sites on the internet and relevant books on American business culture, or when possible, make an American friend who may be able to guide you. Basically, do not rely on one source of information to learn about a culture, as one source can be biased or not provide information from different perspectives. Now, on to discussing what is covered in the culture training programs. Keep in mind, that while what we discuss below is quite generic, often programs are tailored for the company, team or individual taking part in the program. It should also be noted that training programs are hands-on, practical workshops. We use integrative and experiential learning to assure that participants can apply the concepts to their working relationships to notice almost immediate results. I would say, Indians much more than Americans crave face-to-face interaction. Indians feel better with in-person interactions where both parties can see each other, make eye contact, see the non-verbal and body language, and try to understand tone of voice. As these elements are missing in 90% of the interactions with global and virtual teams because communication is done through instant messaging, email, phone or voice-based internet providers, one of the main elements of many cross-cultural business sessions is building a context for how Americans may respond in particular situations. Dos and Don’ts of Small Talk – This session has two elements – (1) introductions and handshakes and (2) small talk. In the introductions and handshakes session, we focus mostly on body language, non-verbal cues and eye contact. We also, of course, discuss how to verbally introduce ourselves, In the small talk seminar, we look at topics and questions Americans are comfortable with in professional environments and ones that are avoided in business conversations. We practice mock conversations and situations – like how to handle talking about taboo topics, how to handle unknown or new topics, how to discuss Indian culture with Westerners, and how to be empathetic and include colleagues of different backgrounds in our professional interactions. Conducting Virtual Business Meetings – In this session, we look at the elements of successful business meetings with Westerners. 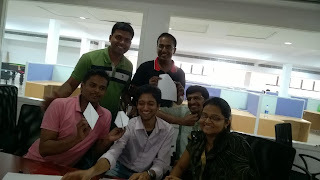 We start by looking at meeting invitations (Including proper ways to request time slots) and agendas (how to write crisp meeting agendas), importance of timeliness (as the Indian and American approach to time differ greatly), how to manage a meeting, note taking, conversational tips, and presentation skills over the phone, webinar or other method. Here, again, we would look at small talk and it’s application in a formal business meeting. We expand from personal small talk (noted in the small talk section) to professional small talk and asking and answering questions. When time permits, the participants hold a mock meeting. In the mock meeting, the participants role play a common meeting scenario including all the tips noted above. When the facility is available the mock meeting is conducted over the phone, and I as the facilitator sit in a different room and listen in. I give feedback on various elements of the meeting including small talk, meeting discussion points, meeting closing. I look at the flow and structure of the meeting. I am not given the agenda, if I can follow the meeting over the phone without an agenda, they are doing well. The flow has to have a logical beginning, middle and end point. Sometimes, the end point or the action items are not always clearly decided or noted. This would cause confusion with the American counterparts. We also look at clear speaking skills over the phone. This is where accent tips creep in. Accent and Clear Speaking – Accent is much more than individual sounds or phonetics in my opinion. In this session we start by talking about some sounds unique to English and Indian languages, including Malayalam, the language of the state I live in India. We play some games to improve pronunciation and listening comprehension, maybe even listen to songs to hear and practice the differences. We move on to syllables, then word pairing in sentences, use of punctuation to pace ourselves, controlling our speed of speech through breathing exercises. We also look at the importance of tone – smiling while we talk and how to use our tone to convince others. Following this, we would explore the use of English in the US vs India. US vs. Indian English is always a popular module. We look at vocabulary words that are different between the two Englishes, and play games based on that. Then, we move into other more important differences in the use of English with Americans and native speakers in the West versus Indian English – like how to request something, how to say yes clearly, how to diplomatically say no, how to summarize and how to get to the point in emails, phone conversations and in meetings or presentations. While some may argue this could be an English class, we do not focus on grammar but more or less the cultural uses of the language to be able to hold more fluid conversations, to build rapport over a period of time. Note: In some cases, we do practice pronunciation of words particular to the line of business of the team or individual we are coaching. These word lists are specifically created for that individual or team. An example of such a list is found here. 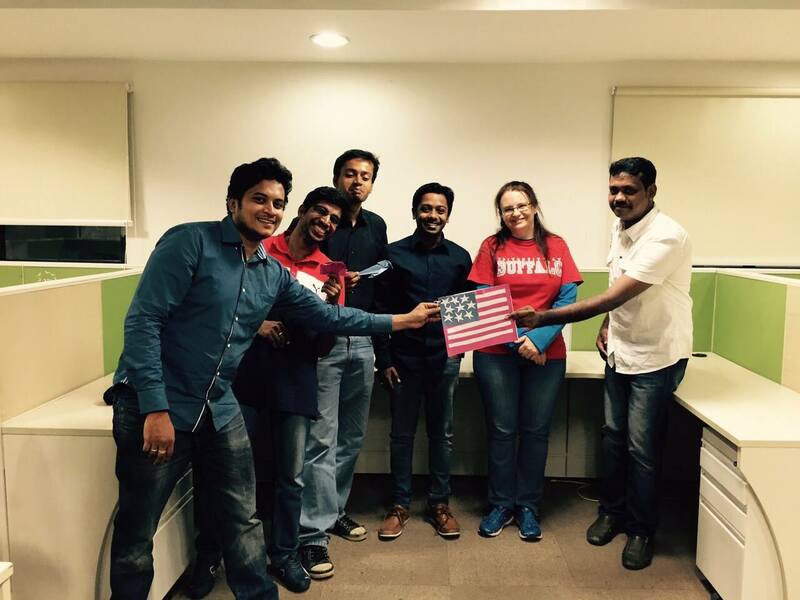 USA Culture and Diversity – For teams brand new to the US, some may opt to hold basic sessions covering a range of topics from US geography, major cities, regional linguistic and cultural differences, international diversity, racial diversity, religious diversity, and other related topics. These sessions are tailored for offshore teams or for those who do visit the U.S. on an expat assignment or to permanently relocate to work on the client site. While these are the major topics, we could certainly dive into more detail in each of the topics to tailor fit them to the particular group or team and their unique interaction with the US counterparts.